The tune was produced, recorded, and mixed by Cornell and was found in his personal recordings archive; a favorite of the late Soundgarden rocker, it wasn't until friend Josh Brolin reminded the singer’s wife, Vicky, of the unreleased song that she decided to share it with his fans. “When Bad Does Good” is featured on the new collection, “Chris Cornell”; due November 16, the package is offered in multiple formats, including a single 17-track release and a 64-track limited-edition deluxe box set (see track lists below). Both versions present material from Cornell’s extensive career as a solo artist and work with Soundgarden, Temple Of The Dog and Audioslave. In addition to the CD releases, the collection will be available as a double-LP, pressed on 180-gram vinyl. There will also be a limited edition, Super Deluxe set, which includes the deluxe edition, which contains the four discs from the deluxe edition, seven LPs and a DVD, which adds two previously unreleased videos. 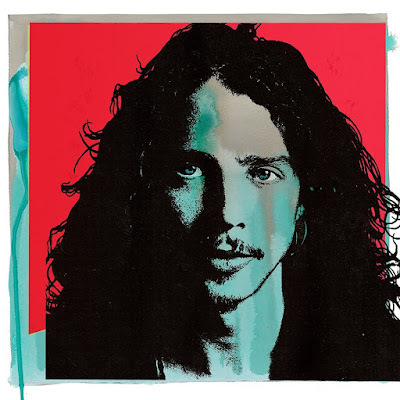 The project marks the first release of Cornell’s music since his 2017 death while on the road with Soundgarden. "Since Chris's sudden passing, I have put all my efforts and energy into sharing his music and legacy with his fans from all over the world," says Vicky Cornell. "I felt we needed to create a special collection to represent all of him — the friend, husband and father, the risk taker and innovator, the poet and artist. His soaring vocals found their way into the hearts and souls of so many. His voice was his vision and his words were his peace. This album is for his fans." Cornell will be honored with an unveiling ceremony of a life-size bronze statue in his Seattle hometown on Sunday, October 7. The statue will stand outside of MoPOP’s gold south entrance facing Fifth Avenue.